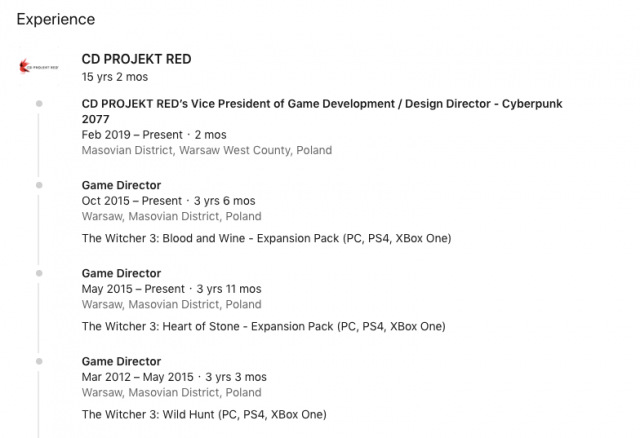 Taking some talent from the Witcher 3 team, CD Projekt Red’s upcoming title Cyberpunk 2077 will be gaining Konrad Tomaszkiewicz as Design Director. 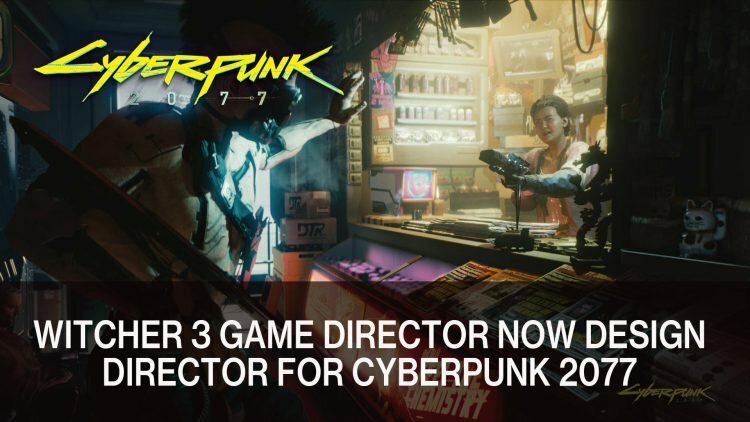 Originally the Game Director for The Witcher 3, Konrad Tomaszkiewicz will now be taking the promoted title of Design Director for Cyberpunk 2077. The news popped up on the Cyberpunk 2077 subreddit when a Linkedin user spotted the title on Konrad Tomaszkiewicz’s profile. This is good news for Cyberpunk 2077 fans as it adds more talent to the team. It was not long ago when we heard that the Creative Director had moved over to working with Blizzard. The team size for this project is considerably bigger than the last, with over 60% more staff than The Witcher 3: Wild Hunt. Now Design Director, Tomaszkiewicz has steadily risen through the ranks at CD Projekt Red. Starting as Junior Tester for the first The Witcher title in 2004, now with over 15 years working for the developer. It was just last week that we heard that Cyberpunk 2077 is making an appearance this year’s E3, what they will show has not been shared but we’re eager to see more gameplay. Cyberpunk 2077 will release on PC, PS4 and Xbox One with no confirmed release date as of yet, but some sources have said 2019. You can check out why the title has made our Top 10 Upcoming RPGs for 2019 here. If you’re interested to read more about CD Projekt Red’s current game in development Cyberpunk 2077, you can find it here in Cyberpunk 2077 Aims For Same Quality Standards As Red Dead Redemption 2 and Cyberpunk 2077 To Be Distributed By Warner Bros. Interactive Entertainment. You can also read what we thought about the game in our Cyberpunk 2077 Preview: When Fallout Meets Blade Runner.